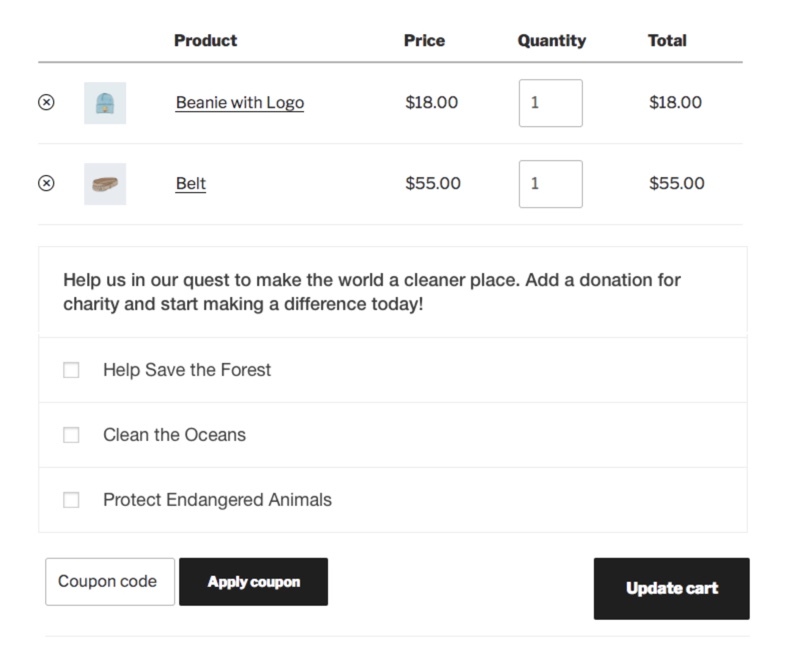 Running alongside WooCommerce and Give, this add-on allows you to select one or more donation forms to display on either your WooCommerce cart or checkout pages. 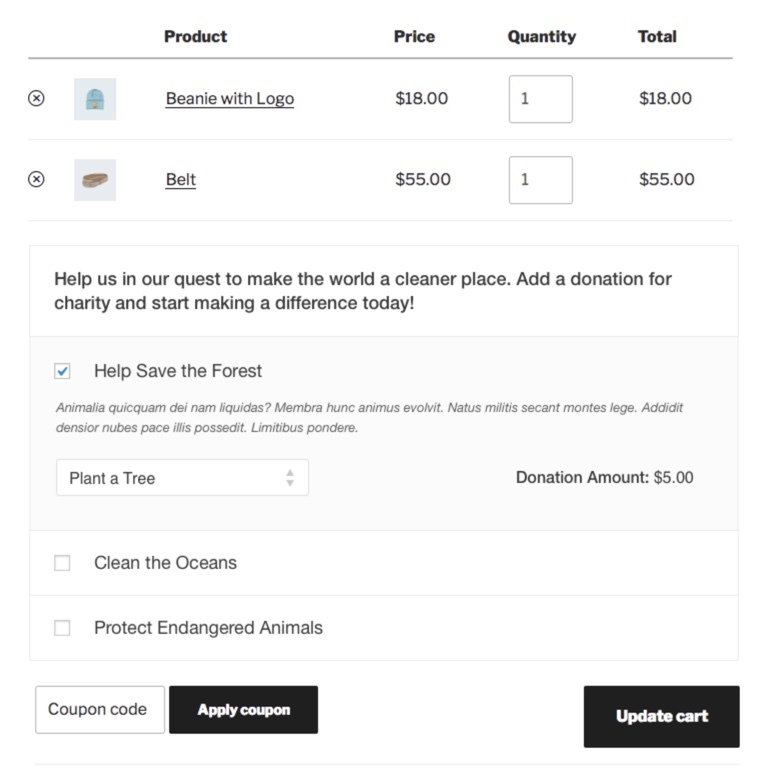 The add-on supports set amount and multi-level donation forms. 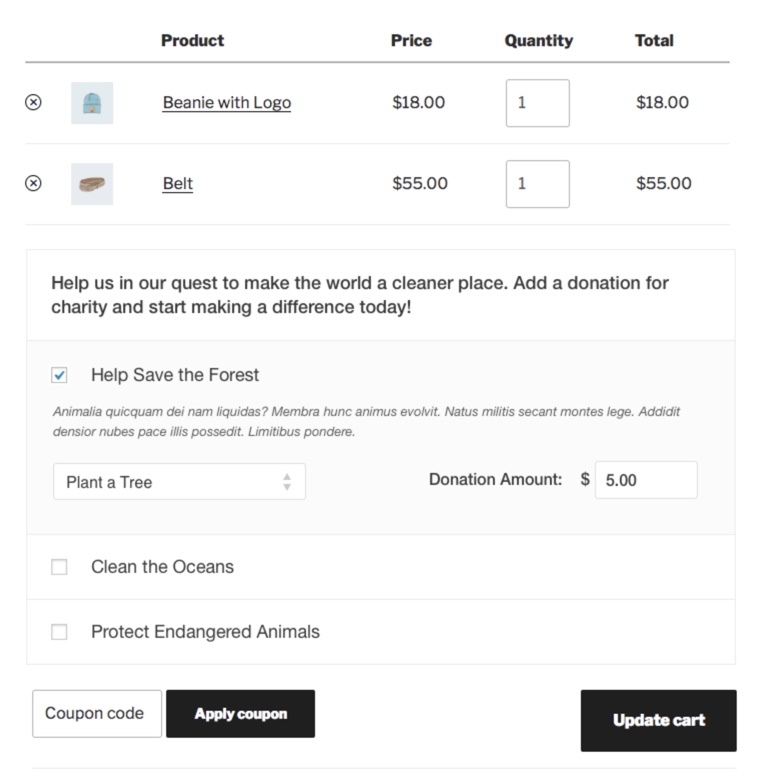 Once configured, the shopper is presented with a section prompting them to add a donation to their order. The donation forms have checkboxes that expand when clicked and collapse to display the donation details. 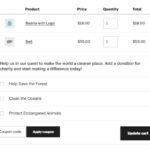 You can select more than one WooCommerce donation to give to as well. 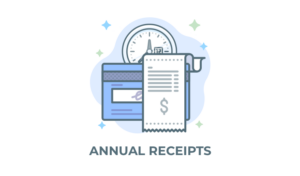 Notice how the amount field is customizable so the customer can give an amount they are comfortable with. 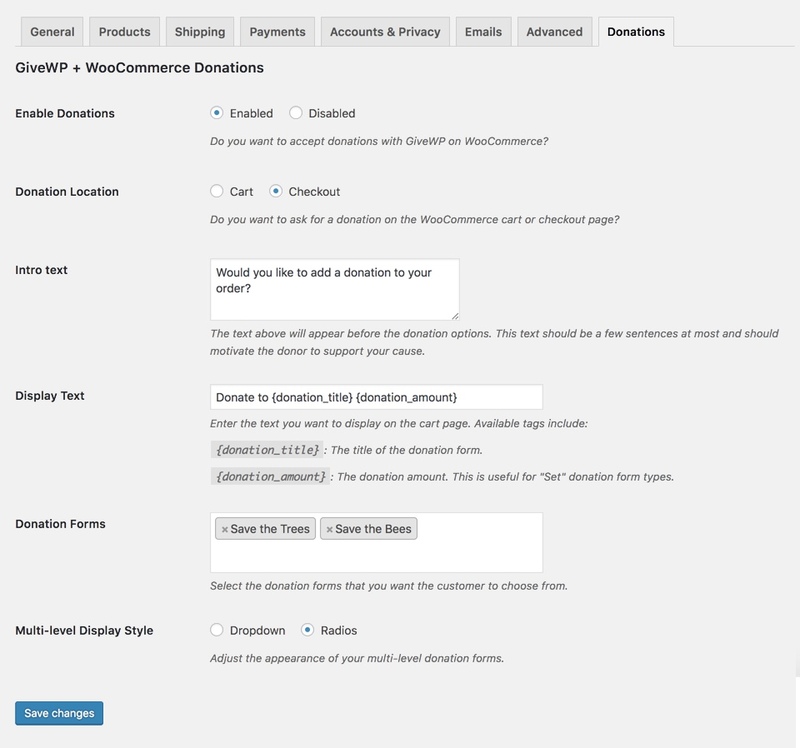 The add-on options displayed in the WooCommerce settings screen. 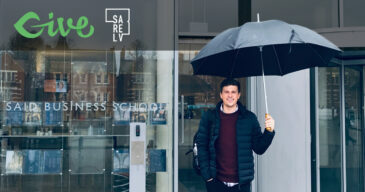 Stored within WooCommerce and Give. 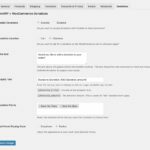 A donor is created with reference to the customer in WooCommerce. 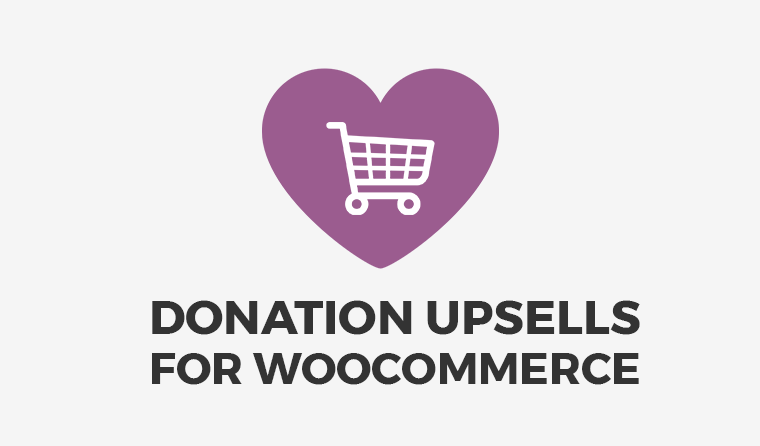 Donations made through WooCommerce are marked with a “Woo” badge in Give’s donation list screen. No additional gateways needed – the plugin uses the WooCommerce gateways you have enabled. 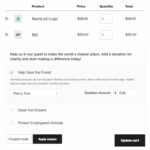 Donations are not marked as complete until payment is received in WooCommerce. Fully cross-browser compatible and easily integrated into any theme. Visit our documentation for additional information.